Well, what a weekend it’s been! 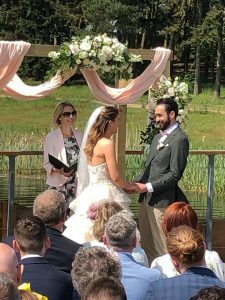 The Archbishop of Canterbury may have taken care of the Harry and Meghan nuptials but I had the pleasure of officiating at not one but two wonderful ceremonies this weekend. 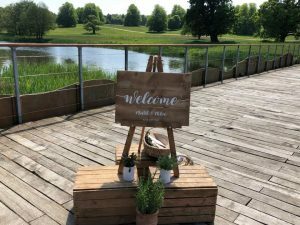 On Saturday , it was the wedding of Mark and Chloe at the captivating Henham Park in Suffolk; a venue so very dear to their hearts, having attended the Latitude Festival together for the last few years. 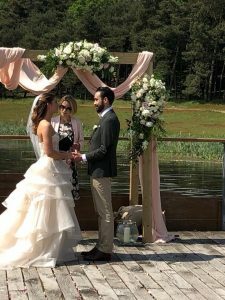 Mother Nature was kind to us and with the sun shining brightly, this beautiful couple exchanged their vows in their chosen spot. 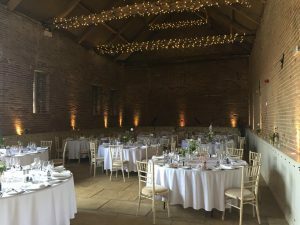 I can honestly say that it brought a little tear to my eye when Chloe arrived – she looked beyond stunning, with a beauty that goes far deeper than her outward appearance. And Mark looked oh-so-handsome! 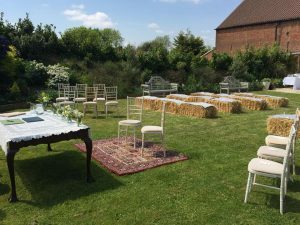 Sunday dawned and another lovely venue beckoned – this time, Manor Mews in Tattersett, Norfolk. The misty morning had cleared to leave a glorious day and another fabulous outdoor ceremony, this time for Chris and Ari. 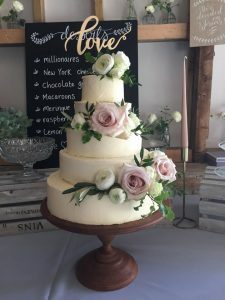 Every single day in the life of a celebrant is different but the one constant is that each and every ceremony is an absolute privilege to write and conduct. While it continues to bring a tear to my eye to witness the arrival of a bride and while I continue to feel goosebumps at being part of such beautiful unions, I will continue to cherish my role. 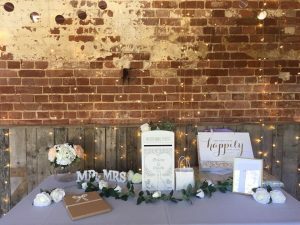 Congratulations to Mr & Mrs Durrant and Mr & Mrs Skinn. May you be blessed with love and understanding throughout your shared lives together.